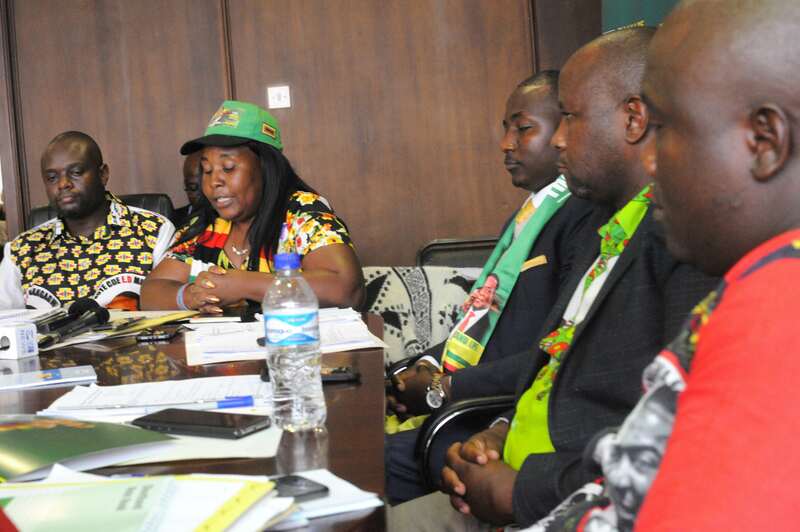 Zanu-PF youth league boss, Pupurai Togarepi, his deputy Lewis Matutu and three other National Executive Council members have been cleared by the ZANU PF National Disciplinary Committee (NDC) after they were given a vote of no confidence last week over abuse of party funds. Announcing the reversal of the decision, the party’s Secretary for Information, Simon Khaya-Moyo said the dismissal of a party official through a vote of no confidence should only be occasioned in extraordinary circumstances. “Most recently votes of no confidence were moved against some officials of the party national youth executive and there are reports of similar actions being initiated in some provinces. “These developments have a greater potential of fomenting disunity in the party and should stop forthwith. Previously disunity forces under the G40 cabal used votes of no confidence to purge party members perceived to be against their destabilisation agenda,” said Khaya-Moyo. He added motion of no confidence should comply with procedures set out under article 28 general provisions, section 265/266 of the party’s constitution. “The motion must specify the reason for the vote of no confidence and must be such that the accused member can easily glean the exact basis of the motion,” he noted. Meanwhile, the youth league has organised a solidarity march in Harare to show their support for President Emmerson Mnangagwa as factional fights continue to be swept under the carpet. The march is slated for the 21st of February, a day which coincides with the former president, Robert Mugabe’s birthday.